One of my latest experiments has been adventures into micro-steampunk. Now, I don't know if such a thing exists, but it makes sense that it should! I've even seen film of nano technology where they made a simple cog and wheel that moved, it seems everything starts with cogs! Doubtless you've been previously battered by one of my rants about 'sticking cogs on stuff and calling things Steampunk' and I tend to avoid using cogs just for the sake of it. However for some ideas I've been mulling over for the past year or two they suit it perfectly. And yes, there will be glass involved too. I can't use glue for what I have in mind, so engineering wise it makes sense for me to screw parts together. 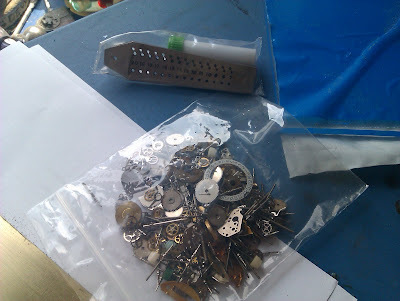 Problem is there doesn't seem to be many tiny teeny nuts in your average watch or grab bag of steampunk watch components. So, as I always figure, if you can't buy it, make it! First step is to making tiny thread, for which I needed a tap and die set to make matching micro-nuts and bolts. I thought the £20 I paid was rather pricey, for a faily unimpressive plate of steel and pack of taps, until I looked at 'proper' ones from watchmakers catalogues. A professional set a mere £395!!!!!!! 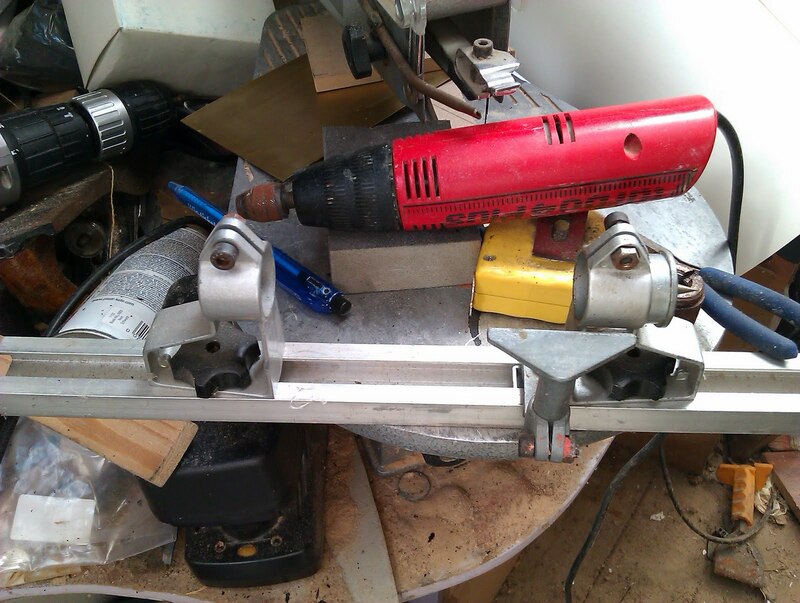 I've given them a quick go, and they work rather well on soft brass, but a little stiff on stainless steel. 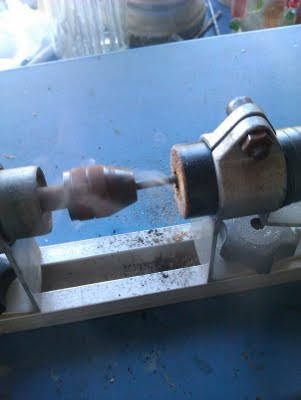 I even managed to make a tiny thread using one of the larger cutters on an old thin mandrel! So far I've made a very good threaded hole and bar thats only 0.7mm! I also figured a small watch lathe would help when boring micro holes neatly and squarely into the ends of brass rod to make nuts. (I am looking at sizes between 0.9 - 0.4mm) I had an old baby wood lathe, which although ok, didn't have a second chuck to hold work. 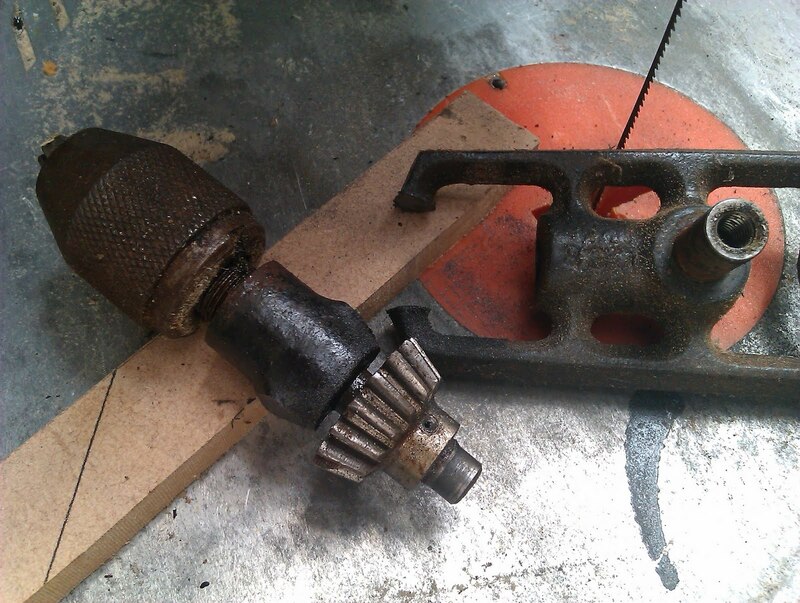 A quick scrounge around I found an old hand drill which had rusted solid, but the chuck was still good. 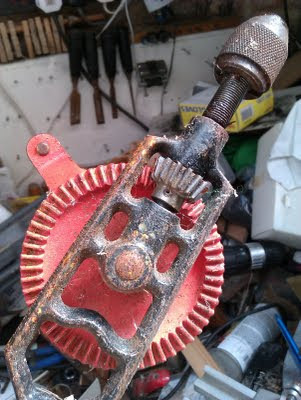 It took alot more to get free than I expected, but finally got it out, including cutting it out of the nice cast iron frame, which was a shame. I was originally going to leave the bevelled gear on it, but it didn't mount very well. 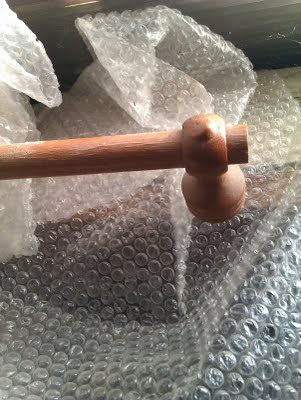 A look overhead and I found an ideal bit of old curtain pole (knew I kept that for a reason) which made an adequate stock holder. the set up isn't ideal. I've given it a test drill, it needs refining such as a turned thread instead to ease the work into the drill, also I need to stiffen everything up as the mini drill isn't steady and can easliy be knocked off centre. However, it is a start! The top quick pictures are of my first micro-thread; I used the plain end of a piece of threaded rod from an old watch. The thread is about 0.7mm to 0.74mm, so quite small, but I am looking at making it even smaller. That hole in the brass bar really is threaded, with a nice shiny penny for scale! Interesting idea, might work in silver pmc, although I know there is some shinkage so not sure how that will effect the threads, but it might make making the nuts alot easier!